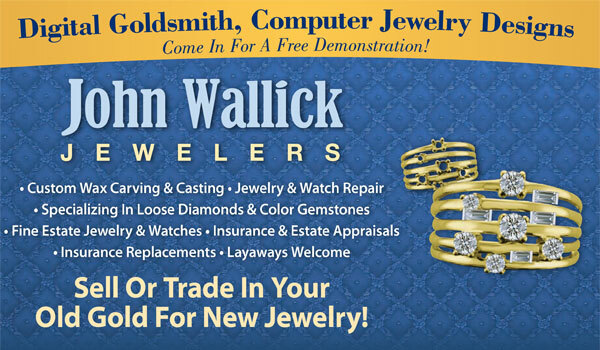 We buy gold at John Wallick Jewelers! 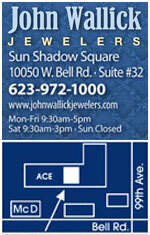 Where are the best places to sell your gold in Phoenix, AZ? 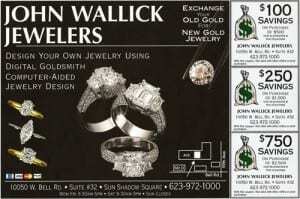 Are looking to trade your old gold in Sun City Arizona and Sun City West? Your search ends here. We offer competitive prices for YOUR gold. Come on in for a price estimate if you live in Sun City, Sun City West, Avondale, Glendale, Gilbert, Litchfield Park, Peoria or Surprise, AZ. We are your Arizona Gold Exchange.